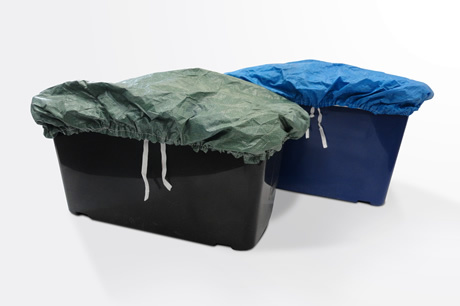 Boxhat® elasticated recycling box covers. Green or Blue in stock, other colours / printed covers to order (min quantities apply). 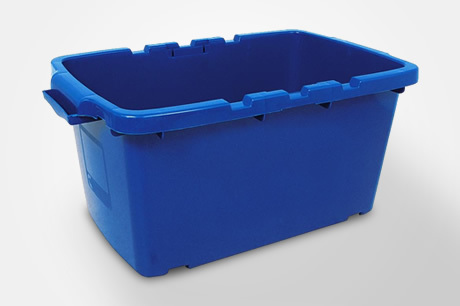 Boxhat® recycling box covers are a far more cost effective alternative to rigid plastic lids. Sack maker elasticated box covers don’t crack or split & are indestructible under normal use. Shower caps for recycling boxes allow for overfilling which is impossible with rigid lids and Dicksons Boxhat® covers come complete with tie tape so the cover is attached to the box at all times. Dickson Sacks are the original supplier of box covers and make then from UV stable, waterproof woven polypropylene. We hold blue and green covers in stock and can supply specially printed kerbside box covers to order with council and recycling logos.